There are curious things that occur each year in Alaska when the sun begins to warm the Arctic earth again and the snow that carpets the ground returns to its watery depths. Oh, I suppose it isn’t entirely unique to Alaska, but we all like to live within our own little worldview to some extent, now don’t we? All around town, especially this year when we have had near record snowfall, there are veritable mountains of snow that have been collected from every corner of the city, and deposited in snow dumps. In these dumps, heavy equipment pushes the piles higher and higher until some are nearly 100′ tall. They stand as temporarily white monuments to the men and women who clear the streets of Anchorage and sometimes last well into the summer until the last bits have melted away. They are only temporarily white because, as is happening now, once the weather turns to melting temperatures, the ice crystals of the snow begin to give way to the warming and runoff in rivulets of water leaving behind the dirt, sand, and garbage that was concealed inside the snow. Within days, the once pure looking peaks begin to turn a dirty brown and eventually become almost completely black on their entire surface. It is always remarkable to me that what appeared to be so white and clean was rife with so much muck within its heart. By the end of summer, there will be nothing left of the snow and ice, it having been replaced by hard, crusty ranges of dirt and sand. The onslaught of the sun will have revealed the true nature that was suspended inside the grip of the billions and billions of collected snowflakes. I reminds of a story from the Bible, not too long before the execution of Jesus. 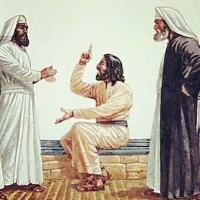 As happened on a number of occasions, Jesus found himself in a verbal throw-down with the religious leaders of the day. Jesus says over and over again, “Woe to you, scribes and Pharisees…” and then enumerates precisely what they should be woeful about. One of the problems He describes is that, as religious leaders, these men were entrusted with truths that, when delivered to the people, would lead them into the marvelous fellowship of the Kingdom of God. Instead, Jesus lamented, not only had the religious leaders put in place all sorts of arbitrary conditions that did exactly the opposite and kept people away from the Kingdom of God, they didn’t even enter into it themselves anymore. As Jesus continued His verbal smack-down, He spoke in words that must have been boiling from His lips with a holy anger. He told those religious dudes that it had gotten so bad that they were nothing more than “whitewashed tombs”. They were lovely to look at, all gussied up and prettified, but inside they held nothing more than rotting, stinking, decaying people. They were “hypocrites, filled with lawlessness”. And much like the snow mountains of the northern climes, once the light of the Son shined on them, the true inside of those “men of God” was revealed. It’s a message worth heeding today for those of us who believe we are called to be shepherds among His people, and proclaimers of His word. Another curious thing that happens during spring thaw in Alaska, and somewhat related to the first thoughts on this post, is that there is a troubling, offensive smell which begins to rise from the dreck of the decaying organic material that lies beneath. There’s no way to describe it other than that it smells like crap. Dog crap to be specific. It isn’t all, or even mostly, actually doggie-doo distinctive aroma, but it’s the easiest thing to blame it on. The truth is that, when the snow begins to fly every October, there are countless leaves, branches, little vermin, and other once living things that get trapped in a white tomb of frozen wasteland. Once spring arrives, the combination of heat and moisture serves to break down that organic material and produce the unpleasant off-gassing of methane. To paraphrase words from the Bible, it stinketh. As we approach Good Friday and Resurrection Sunday, I’ve been thinking about a day that receives little or no attention in Protestant churches. Sometimes called Black Saturday, it is the day that lies between Good Friday and Resurrection Sunday. In general, of the three days of the Easter weekend, Sunday clearly receives the overwhelming attention in most of the Christian world. Even our little church is having our first ever Good Friday service. I can’t recall there ever having been a time one of the churches I have attended did anything for Black Saturday. What must it have been like to be a follower of Christ, especially one of the disciples, and realize that He was dead? We enjoy the power of knowing how the story ends, but they had no idea. Even after all they had seen and heard they still didn’t grasp what God’s ultimate plan for Jesus looked like. All of their hopes and dreams in a rescuer…a savior…the deliverer… a friend…had been dashed when Jesus finally breathed His last and was sealed into a cold and dark borrowed tomb. Nothing feels as final as death. No wonder it’s called Black Saturday. I find it fairly common, when most of us consider the stories and imagery of the Bible, that we perform a kind of sanitation on the details and pictures we conjure in our minds eye. We see the dead Jesus, but he looks serene and restful. Our brains imagine the tomb in a garden, and it is idyllic and lovely. Even calling it the “garden tomb” influences what we paint in the picture of our thoughts. Cool, green, lush. Some of that imagery may have some basis in the reality, but there are other details we tend to dismiss because they might appear unseemly. Or, perhaps they’re simply uncomfortable. If you wish to retain your sanitized visualizations, you may want to bail out now. If you want to be challenged a bit more deeply to understand the wonder and the heartbreak of the space between Friday and Sunday, then read on. When the body of Jesus was taken down from the cross, it was after a horrific marathon of abuse at the hands of the Roman officials and His executioners. Before He even began His torturous walk down the Way of Suffering, Jesus had already been the victim of betrayal upon betrayal. That same cross was used as the instrument of His death. 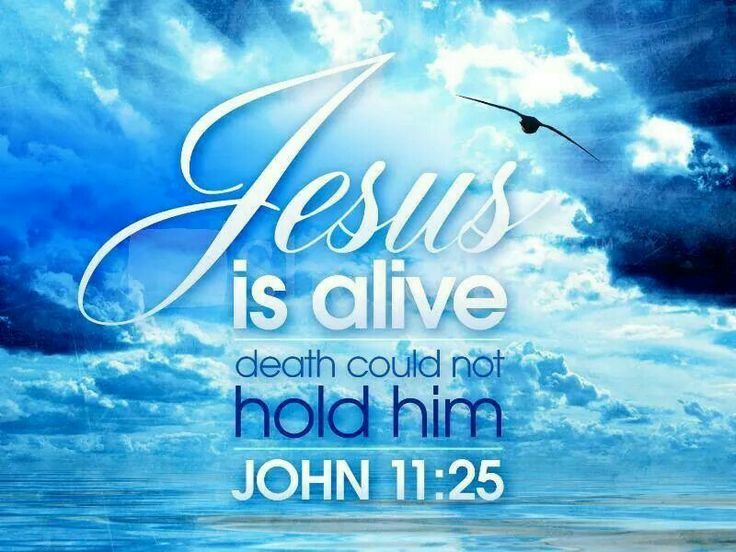 And He hung there, suspended between heaven and earth, His life’s blood flowing from His wounds. Great clouds of flies swarmed around the Lord’s body and invaded His wounds, forevermore to become a symbol of the Devil himself. Over the course of several hours the infection began to take hold and the vessel of Jesus became a horrible, stinking, inflamed, gory mess. When Jesus breathed His last, on a hill that smelled of blood and death, He was taken to a tomb carved from the stone mountainside with a giant stone for a door. Because of the late hour and the approaching Sabbath, there was no time to properly wash and care for His body, or anoint Him with oils and perfumes. The friends who stood by made plans to take care of that later. And so, Jesus was locked inside the mausoleum of a friend, in a cemetery filled with others who had died both recently and in days long gone by. Despite the best efforts of the loved ones left behind, there was no way to stem the smell of death that hung in the air and permeated the very ground where the bodies lay. This then, was the reality all those who loved Jesus faced when the sun rose on that Sabbath morning. There was no relief. What had happened? Where was the Kingdom of God? Was this final gasp of the promised Messiah? If this wasn’t the Christ, then when would He finally come? Is there even really such a thing as a Messiah? Why would God leave us this way? Where is Jehovah? A third curious thing that happens when Spring finally arrives in Alaska is subtle and easy to miss if you don’t look for it. For several months the landscape has turned to a monochromatic display of white to black and everything in between. There is very little natural color outside the evergreen trees that mingle among the birches and cottonwoods. Even the dominant creatures that one might see, such as ravens, are black. As the temperature rises and falls and producing mini “springs” over the winter, the once white snow blanket turns a grungy grey. But, if someone is looking, somewhere around the end of March there is a seemingly sudden change in the color of the trees. It’s possible that literally overnight, the tips of the birch and cottonwood trees crack open and reveal the impending leaves that will transform the hillsides into lush carpets and canopies of green. Those beginning buds are a rusty red, and day by day one can discern a deeper red color and less visible space among the trees. They are a heartwarming reminder that Spring follows Winter and they can fill people with the hope that tomorrow promises. Then late on Friday, He was placed beneath the earth; stinking, rotting, festering, dead body. Out there in the “garden” with all the other dead people. He had crossed the final threshold that all humanity faces and, frankly, the outcome looked pretty bleak. Ashes to ashes, dust to dust, and all that. As far as those who followed Jesus knew, absolutely nothing good happened. The dead were still dead, and they smelled worse than they had the day before. If the women who were going to try and care for His body were going to have any chance of enduring the process it would have to be very soon. Because dead bodies don’t get any better the farther away from life they get. Time, like early Spring, has a way of taking its toll on the frail covering that hides the worsening decay.